Being a doctor, I have already heard of LASIK for a long time. I actually went for assessment in Singapore before, but the advise post assessment with Laser Vision was <1.00 diopters in the left eye and >1.00 diopters in the right after the surgery. So, I hesitated then, considering that I cannot achieve 20/20 vision. After a few months, I become convinced that as long as LASIK can reduce my dependence on contact lens and spectacles, a –1.00 diopter refractive error is acceptable. 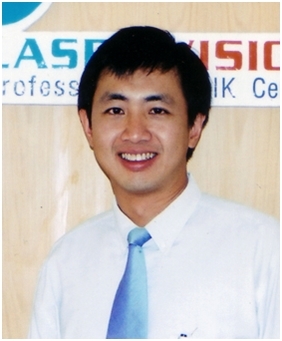 So, I chose Laser Vision, one of the top LASIK Centers in Bangkok for assessments and surgery. The center has a professional yet caring & soft feel to it. The decoration is nice, friendly and warm and the staff very friendly. After the assessment, the doctor told me that with best correction a <1.00 diopters will probably be still present. So, I went ahead with the surgery. There is discomfort, that’s undeniable. But no pain, as promised. The discomfort can be tolerated. After all, my vision is already so blurred that I cannot see what the surgeon is doing. Dr.Anun is performed during the operation, guiding me through the operation step by step. The laser itself has no pain, has smell. And it’s over in a minute for each eye. With so much pre-medication, my vision was still blurring post surgery. But as said, no pain. I went back to rest in the hotel and my vision improved in a few hours. I can actually see 6 hours post-surgery! And it’s like having my contact lens on vision almost perfect. On day 1, my vision was about 6/9(+/-). It gradually improved to almost 6/6 on Day 6 post-op. I was very happy to have chose & so the surgery. To be finally, off the refractive aids like contact lens or spectacles after 25 long years, it likes give a second chance in life again.